Well, after our first meeting discussing your ideas and plans over frothy coffee I will return to Studio45 to get started. First things first. Out with the box of vinyl 45s to get the mood conducive to great design. 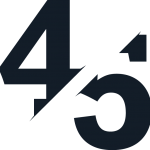 (The name Studio45 wasn’t just a flash in the pan you see!) Funk, Soul, Jazz or reggae usually does the trick. Next its out with the good old paper and pen. Brainstorming on paper is still the best and most efficient way to generate new and exciting ideas. After all that another coffee (especially if its gotten very late which often happens) before finally getting to the computer. Then comes the job of bringing the best of all those ideas to life on screen then hey presto – finished piece and delighted client!